Scientists are preparing to study the health and genetics of red squirrels reintroduced in the Scottish Highlands. Brought to the region by conservation charity Trees for Life, the squirrels are to be studied by scientists at the University of Edinburgh. Trees for Life will send hair samples from relocated squirrels for analysis by researchers at the university’s Conservation Science Group, as part of the scientists’ research into Scotland’s wild red squirrels. Only an estimated 120,000 reds remain in Scotland after their numbers were decimated by habitat loss and persecution. Red squirrels are also threatened by disease and competition from introduced non-native grey squirrels. Grey squirrels spread squirrel pox virus, to which they are immune, but it is lethal to reds. Despite the restoration of good habitats in certain areas, reds can’t return to isolated woodlands on their own. They avoid crossing large open spaces – so the species is missing from many suitable Highland woods. 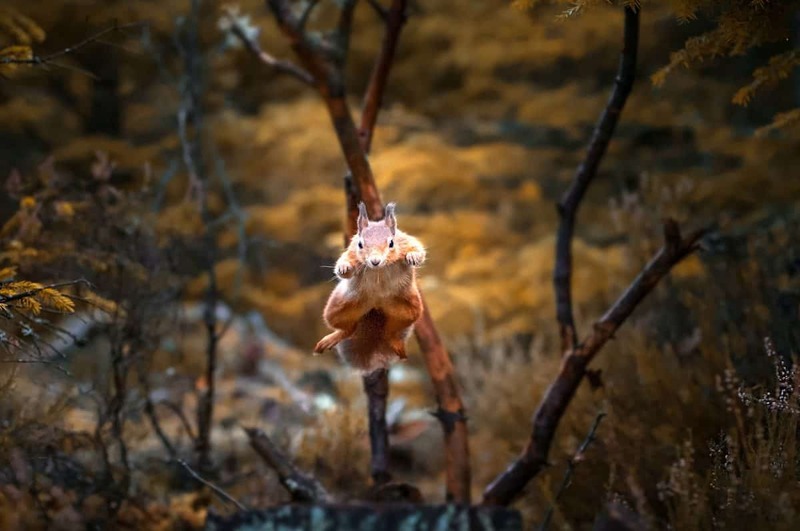 Since 2015, the charity has relocated 140 red squirrels from strongholds in Inverness-shire and Moray to isolated fragments of forest where reds would once have lived. There have been positive signs of these populations establishing at all the reintroduction sites, including successful breeding. Alan McDonnell, Trees for Life’s Conservation Manager, said: “Learning more about diseases, parasites and genetic variability is vital for ensuring a long-term future for the UK’s red squirrels. The aim is to further extend the squirrels’ range, in areas safe from disease-carrying grey squirrels and squirrel pox. Dr Rob Ogden, Director of Conservation at the university’s vet school, said: “The University is very happy to be providing scientific support to Trees for Life’s red squirrel reintroduction programme.